I have incredible difficulty working with coins (and cards) as my hands are so dry. Treatments for cards are fairly easy to come by (I use the *spray bottle version* of Zim's Crack Creme and Skinner's Edge Card Creme). Coins are another matter. It is impossible for me to classic palm a coin, and other moves - even some simple, non-secret moves - can be problematic because my hands have no tack to them, whatsoever. I've tried many products, but the best by far (for me, btw) is a small bottle of stuff you can get at a bowling alley pro shop. It is called "Pro Grip". Its a yellowish substance, and it works to the extreme, to say the least. The grip it provides is incredible, but it should be applied judiciously. Violin rosin can also work very well, however, my hands need to be somewhat warm in order for it to be able to work well. As with all of these things, your mileage may vary. This is for the folks who, like me, almost gave up certain aspects of coin work due to the extreme dryness of their hands. Hi Mark - good to see you on this forum. Here in the UK, Harry Robson sells a little bottle of magic termed 'Easy Grip'. Originally intended to help those who had trouble separating the doubles in Brainwave and Invisible Decks, it also provides grip for other items such as coins. A little dab of this liquid on your fingertip, that's then rubbed between your palms/underside of fingers, works wonderfully - and each application lasts at least half hour. I use O'Keefe's Working Hands Hand Cream. This can be found in the paint aisle of Home Depot and sometimes by the register. Bed Bath and Beyond also sells it and a different version for feet. So if you've been practicing some sleights with your feet getting ready to blow them away at FISM and find they lack grip...you might want to look into it. For years I've used Golden Touch, just works great with my hands. I work in a hospital and with dozens of washings and squirts of Purell, now that's dry. I have the exact opposite issue. My hands tend to always be too damp, especially when I get nervous. It makes classic palming a coin near to impossible. Maybe I'll give that Easy Grip stuff a try. Does it work for sweaty hands as well? I've got to go with Tom G on the Chamberlain's Golden Touch. There's nothing like it for working with cards. However, if your hands are seriously dry, get a tin of Bag Balm (which has the consistency of Vaseline) and put it all over your hands and cover them with a pair of cotton gloves overnight (a lot of women do this). You will notice a big difference when you wake up the next morning. Bag Balm comes in a green tin and is available at CVS. I really don't know Robert - I tend to have dry hands even when working. Not wanting to wrongly advise you into wasting you money (a fiver is a fiver these days) I'd suggest that you drop Harry Robson a line. He's one of the more honest dealers out there; and has been using/producing his Easy Grip for quite a few years now. I think there's a link of it on YouTube (search for Harry Robson's Workers Special) but don't know if the forum enables you to share links. I'm in the "Golden Touch" camp. I've tried almost everything (even Skinner's cream, Cornhuskers, Zim's Crack Cream, and Sortkwik), but nothing works as well for me as GT. One thing I did learn from Looy Simonoff is... don't be stingy! Spray a good amount on your hands and rub it in. Lots of nice suggestions, everyone. Everyone's hands are different, and with a different amount of 'tack' to them, so the answer for one may or may not be the answer for another. If fingertips alone are a problem, Pinky Tack or Sort Quick are options. I tried something called Gorilla Snot. It's used by drummers and guitar players to make their hands tackier for gripping drum sticks and guitar picks. Their is another similar product called Pick Honey. You can find them on Amazon or at music stores. I mostly use Chamberlain's. Now they renamed it "After Bath Splash" but it's the same stuff. I tried Gorilla Snot but it is actually pure tree sap; a real sticky mess! Be careful - you'll get it on expensive gaffs and never quite get it all off. Problem is even Chamberlain's wears off after less than 10 minutes for me. I'm still looking for some magic formula. For those of you that use Sort Kwik for your S Deal, Martin Nash used to put a glob of sort quick behind his right ear lobe. Before performing the S Deal he would casually grab his earlobe with his thumb and index finger like he had an itch. I've never heard of a better method for applying Sort Kwik when you really need it. Martin Nash was absolutely diabolical! I'll cast another vote for the Golden Touch spray. A generous coating seems to last for more than an hour and my cards seem none the worse for wear. You could try octopalm. It is like gorillasnot: smells and feels like tree sap though. That sounds like a brilliant idea! I'll keep that in mind if I ever dry up! Glycerin and Rosewater comes ready-made in bottles at your local drug store, and works very well, too. It must be serendipity! I don't do much with coins, but I do have pretty dry hands in the winter months. I just so happened to see "O'Keefe's Working Hands Hand Cream" on an endcap at CVS. Hopefully this means they'll start carrying it because I bought a jar and it works wonderfully. I am sold. This stuff really does work. Score one for the Magician's Forum! Dave, how did the gorilla snot work for you? Yup. I have a can of the stuff in my bathroom right now. It does work well. but I find that it "wears off" after about 20 or 30 minutes. It might just be my mutant dry hands. I also have some liquid Chamberlain's, which also works well. but don't use too much! I used a handful of it once and my hands were so oily for hours after that I couldn't handle coins very well at all. Edge grip was impossible and producing was also difficult. Lately, I've been trying a combo of just a few drops of the Chamberlain's with a little bit of O'Keefe's on the finger-tips. Rub that all in thoroughly and you're ready to go. I couldn't find a spray bottle of Chamberlain's Golden Touch, but did buy a bottle of it last year online (Amazon, I think). After asking my wife (how many times has she said "just ask your wife?") I converted it to a spray bottle. And not a pump spray either! It's an oil sprayer for cooking. You put the stuff inside (filling no more than half way), then you pump up the little chamber inside with the cap, and voila! You have an aerosol-type spray bottle that puts out a very fine mist. this helps control how much you put on. I was having trouble pouring it on, getting too much and having oily hands. Hope that helps someone. And don't forget to ask your spouse about some of these things. Mine has had the solution for many a magic problem:-P.
My problem is that during practice time my hands are dry, but during a performance they moisten up a bit. So for practice i just use this hand cream from World Market that also has a pleasant aroma. My hands can at times be as slick as porcelain (glass). I have used sort kwik for my hands, or rosin on the coin edges. Recently, however, I started doing a stand up 3 coins across routine where skin condition is no longer a problem due to moves I use for it. Does it work for sweaty hands as well? Robert, Super One Foods, in the drug store part, has packets of powder, (wound dressing) that is basically powdered antiperspirant. Mix with water and put on your hands and allow to dry. Will last about a week. Here's the other stuff I used before I found O'Keefe's: Na-PCA (non-oily). EvilDan has it right, as I mentioned in my book, Enchantments (2004). The problem with oil based substances, and particularly hydrocarbon based salves, creams and lotions is that they help in the short term but exacerbate the condition long term. The problem is that oils clog the pores of the skin, preventing your natural moisture from getting out and external mositure from getting in from the air, to rebalance the supply for later use. Sodium Pyrrolidone Carboxylic Acid (Na-PCA, pronounced as the letters N A P C A) is the natural moisture factor in skin. Dry skin contains half or less of the amount of Na-PCA of moist skin. Using Na-PCA liquid (spray) supplies the additional Na-PCA the skin requires. When you first apply it, the hands will briefly feel drier than before you used it. Within a few minutes, however, the skin will absorb mositure out of the air and the hands will become just slightly moist, perfect for almost any sleight you may wish to perform. If your hands are particularly dry or damaged, you may wish to use a formula, which is available from Twin Labs, the same company that supplies the best Na-PCA spray, that also contains Aloe Vera. Aloe Vera is a plant extract that is highly hydroscopic and microbial. If your skin is damaged, and therefore hard as well as dry, try soaking them for about 15 minutes a day for two weeks in Johnson's Foot Soap: a blend of Soap, Sodium Sesquicarbonate, Sodium Borate, Sodium Bicarbonate, Potassium Iodide, Bran and Iodoform. This will soften the skin and may cause a bit of light flaking for a few days. Once the hardened skin is gone, using the Na-PCA with Aloe will complete the process and over about two weeks should give you soft, supple and just slightly moist skin under almost all weather conditions, except extreme cold; that's what warm gloves are for. If two weeks doesn't do the complete job, try a second round of treatment. Has anybody here actually done this. Soaked their hands in foot soap daily for a few weeks. Id like to believe that it works but dont want to turn my hand into something bizarre if it doesnt work. I guess I just wondered if anybody has ever done anything to change the "texture" of their hands other than or in addition to some type of lotion. The palm side of my hands are somewhat tough I believe. I dont necessarily want baby soft hands but would try something extra to change the coarseness of my hands to improve my grips in working on my coin handling techniques. 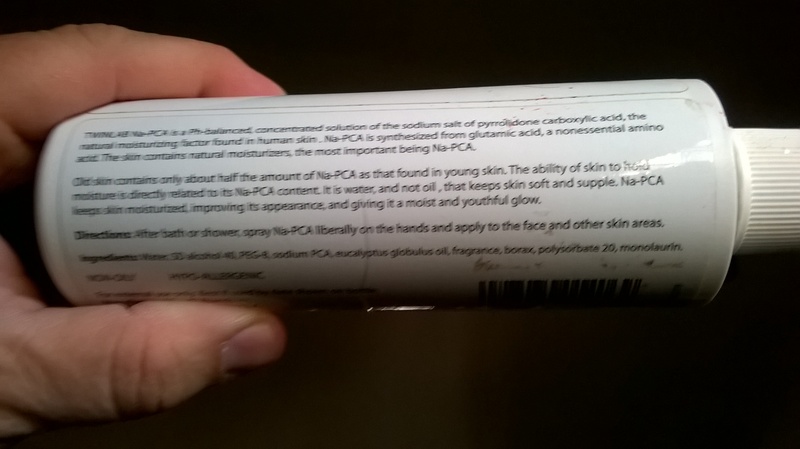 I have just ordered Na-PCA (w/out Aloe Vera) - thank you for mentioning it, Wesley. Once I receive and use it, I'll report back re: how it works for me. 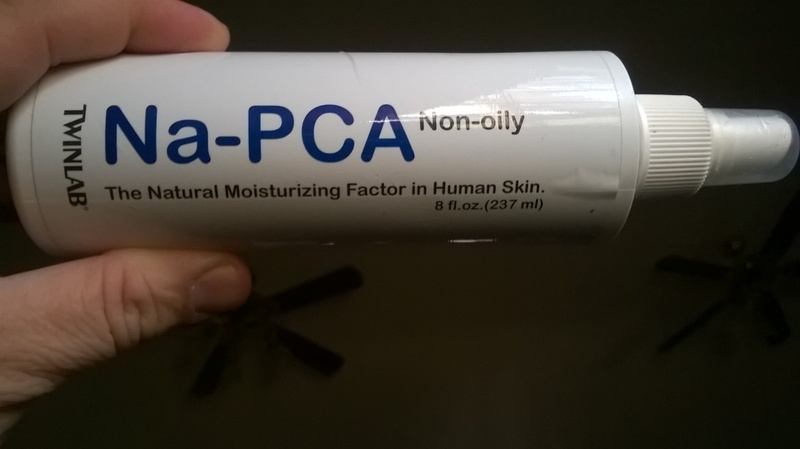 I've had good results with Zim's Crack Creme (spray bottle, NOT lotion) and Glycerin & Rosewater and Skinner's Edge Creme, but they don't beat nature, so I'm looking forward to seeing what Na-PCA will be like. Amazon delivered ahead of schedule, even though I selected the least expensive shipping option. Upon spraying the liquid onto my hands, the wetness soon gave way to a feeling of very good tackiness, which soon vanished. This was all as I rubbed it into my hands. I have done many applications of the product throughout the day, and the results are the same. There is little to no difference re: applications with cards. With coins, it has made a noticeable difference for the better. Personally, I have found that some things work for cards, but not cards, and vice versa. I'll continue with Na PCA for a few days to see if time makes a difference for the better. I have extremely dry, but not damaged, hands. If I don't get more satisfactory results from the basic formula, I may order the aloe vera version of this. Also, this solution - even though ithis product may not be an end in itself - may make what I have been currently using even better. Time will tell, and most importantly, YMMV. I am curious as to how long the tackiness stayed. Sorry to have missed it but what is that you are currently using? Currently use the spray (not lotion) Zims crack Creme and Skinners Edge Creme for cards, and Pro Grip Grip Cream (get at a bowling alley pro shop - the stuff is incredible) for coins. Haven't tested yet how long the Na PCA worked for coins, spent most all of my time with cards.